We would like to introduce you to the Contemporary Record Society and highlight the opportunities to become culturally enriched by the musical sources available through the Society. There are thousands of organizations, each with a specific purpose or goal. There are so many reasons why one should consider becoming part of an organization they believe in. The Contemporary Record Society, through its Society News Publication, offers opportunities to CRS constituents, progress notes on its associates, various awards and performance possibilities. Concert listings of participants, non-members, and employment opportunities through our publications and through the Worldwide INTERNET, by press announcements by its constituents. Noteworthy concerts, lectures and cultural activities are also included in CULTURE ABOUT TOWN! The Society also offers Society News publications which offers CDs,LPs, opportunities for Compact Disc recordings with chamber ensembles and Orchestra, participation in lectures, concerts, work shops and other musical endeavors. Ms. Ignacio attended the University of Santo Tomas Conservatory of Music in Manila, earning a bachelor’s degree in music. Later she became the first prize competition winner of the National Tchaikovsky Piano Competition, open to the most gifted pianists throughout the Philippines. She represented the Conservatory in numerous concerts, including a performance of said Concerto with the Manila Symphony, the nations leading orchestra. This lead to a scholarship from the Music Foundation of the Philippines to study abroad, where she simultaneously received a scholarship from the Peabody Conservatory of Music studying piano with Mieczyslaw Munz and Leon Fleisher. Their, she earned the Masters Degree and Artist Diploma. She was also awarded the Institutes Lillian Gutman Memorial Prize for excellence in piano performance. For years, she taught at the Combs College of Music and performed as company pianist for Pennsylvania Ballet, where she performed the Tchaikovsky Piano Concerto, with the ballet orchestra in addition to many other events. A much sought after recording artist, she participated in more than 100 composers recordings, many of them world premieres, including prestigious artists from the New York Philharmonic, Philadelphia Orchestra and celebrated artists from the Juilliard, Curtis Institute and University faculty throughout the US. She also taught piano and accompanied students in reparatory classes at the Peabody Conservatory. 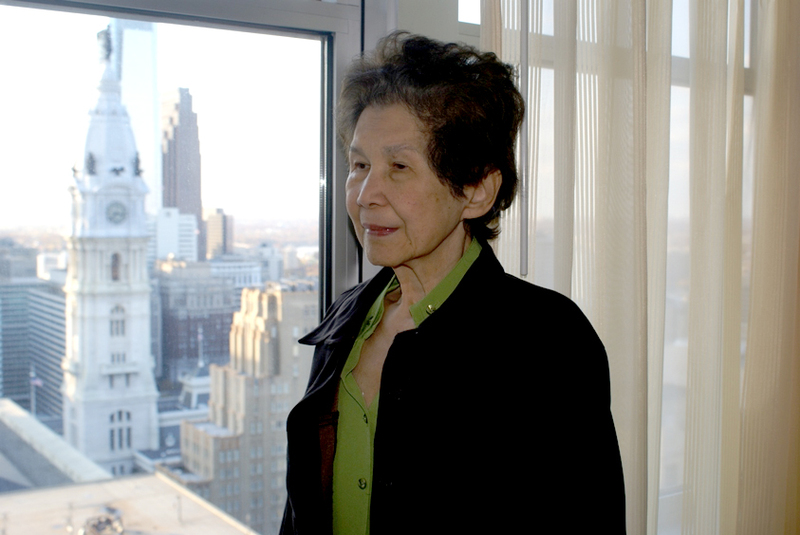 The Philadelphia Inquirer gave due credit for her vast number of CD recordings and the New York Times commented on her performance of the Mendelssohn Sonata, stating…” accompanist, Lydia Walton Ignacio, shape these large scale pieces pliantly yet firmly.” Needless to say, her colleagues, friends and students will miss Lydia Walton Ignacio, who gave so much in music, but expected little in return. THE CRS NATIONAL COMPETITIONS IS AWARDING A $1,500.00 RECORDING GRANT IN HER HONOR! Lukas Foss, born in Berlin on August 15, 1922, and died on February 1, 2009. He is considered one of America's formost musicians as composer, conductor and pianist of German parents. His study began with Julius Goldstein, who introduced Foss to the music of the masters studying piano and theory in Berlin. Foss studied piano in Paris from 1933 to 1937 with Lazare Levy, composition with Noel Gallon, orchestration with Felix Wolfes and the flute with Marcel Moyse. He moved to the USA in 1937 and continued his studies at the Curtis Institute of Music with Isabelle Vengerova, piano, Rosario Scalero and Virgil Thompson, composition, and conducting with Fritz Reiner. In addition, he studied with Koussevitzky during summer months at the Berkshire Music Center from 1939-43. He studied composition at Yale University with Paul Hindemith as a special student from 1939-40.